I’ll be honest with you – I’m still not 100% sure I like how this page turned out. Normally I would just shrug and move on. It’s such an important page though! 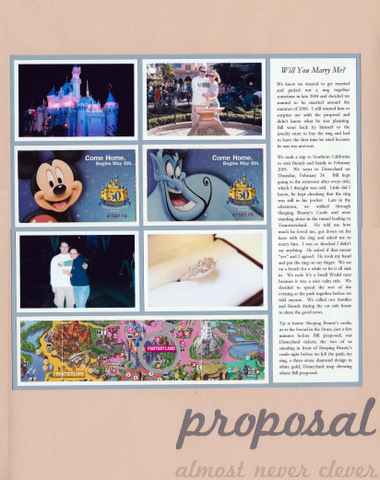 I ran into some trouble because I really wanted to put at least four pictures on the page along with some non-negotiable keepsakes: our Disneyland tickets for that day and some form of the park map showing where we got engaged. I suppose when I set “must-includes” it’s a recipe for a problem! I couldn’t decide how to get everything to work on the page together. This took several days. 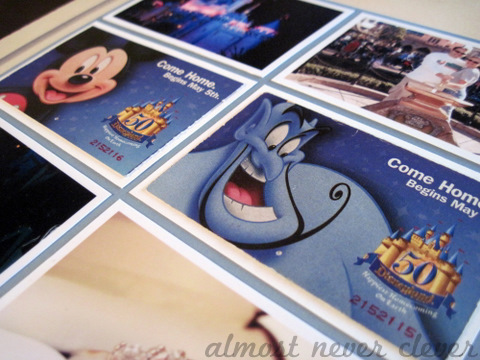 In the end, I decided to print and cut pictures to be the same size as the park tickets. I compromised with the park map and only included a portion of it. 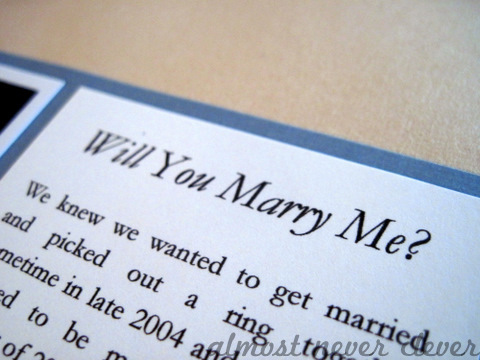 I cut out a ring with the Silhouette to mark where he asked me to marry him. Along the right is a long, long story! I’ve decided to type all of these because I don’t think I can get my handwriting that consistent. I still think it’s missing something! I’ve never redone a page before, so I’ll likely leave it as-is. 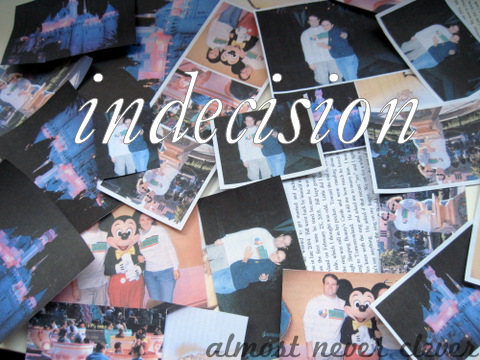 This entry was posted in Ephemera, Scrapbook Pages, Scrapbooking, Tickets, Wedding Scrapbook and tagged disneyland, scrapbook, scrapbooking, silhouette, silhouette sd, wedding, wedding album, wedding engagement scrapbook, wedding proposal scrapbook, wedding scrapbook by Nat. Bookmark the permalink. Oh I know this feeling so well. I would say you are being too hard on yourself but I know how high the expectation is with this important of an album. I love the page and I think you got it exactly right by printing your photos the same size as the tickets. 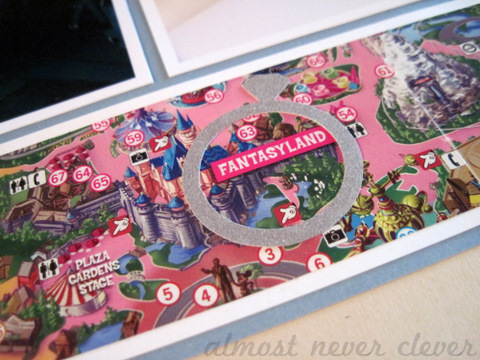 It’s hard to incorporate a big park map and I love that you got in the most important part. I love the long journaling block – the story is so important! Thanks Tammy, I appreciate the insight! If I do anything to this page, it will be after everything else is done so I can think about it. I may not change it at all, who knows. I agree though, sometimes I think too much about a page! I like how your page turned out and agree with Tammy, sometimes stepping away can be really helpful. Thanks Stephanie! I won’t be touching it again until at least when I’m done with the rest of the book. I figure by that point I can see how it fits with everything else. 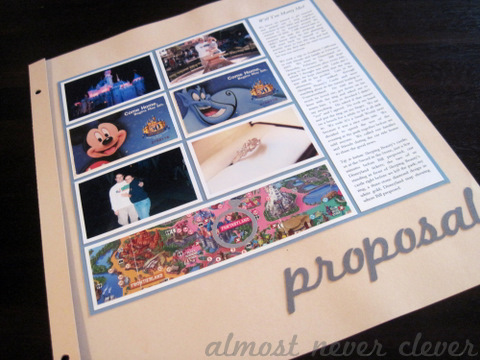 What about making a 2 or 3 page mini to add to your page. So you can fit everything that is important to you. Thanks for the suggestion! I’m going to think about it some more while I work on other pages.